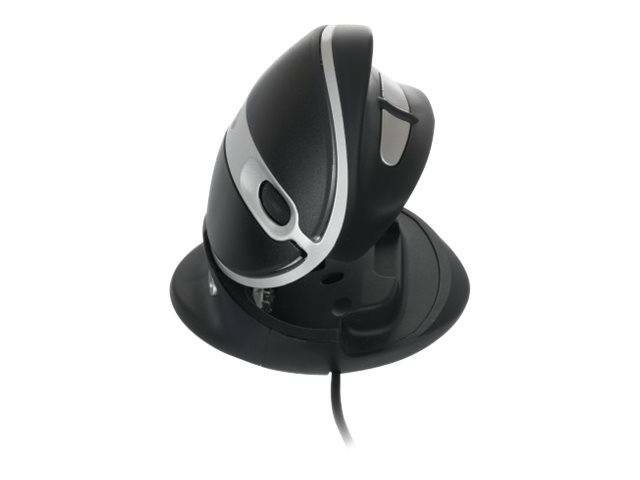 The Oyster Mouse is a slightly sloping computer mouse you can adjust in to any preferred vertical position. This way you create the correct position for your hand, wrist and forearm. You can use the mouse for both left-handed and right-handed use, allowing you to help decrease strain injury complaints such as RSI. The mouse fits comfortably in the hand. The adjustable vertical position leads to less muscle tension in the forearm and hand. The mouse is easy to adjust in to 5 positions.